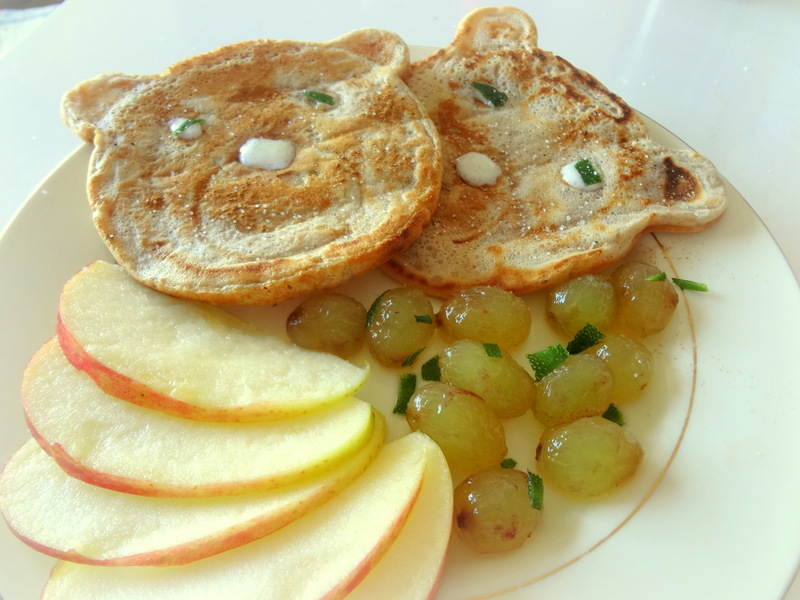 A breakfast that feels the season. 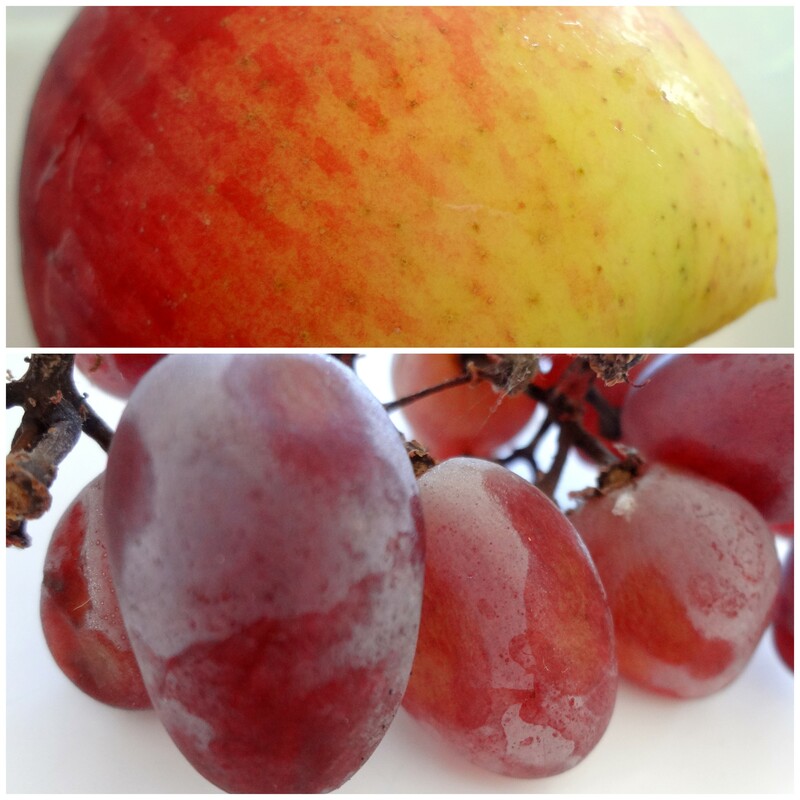 Grapes, apples and kabosu lime. 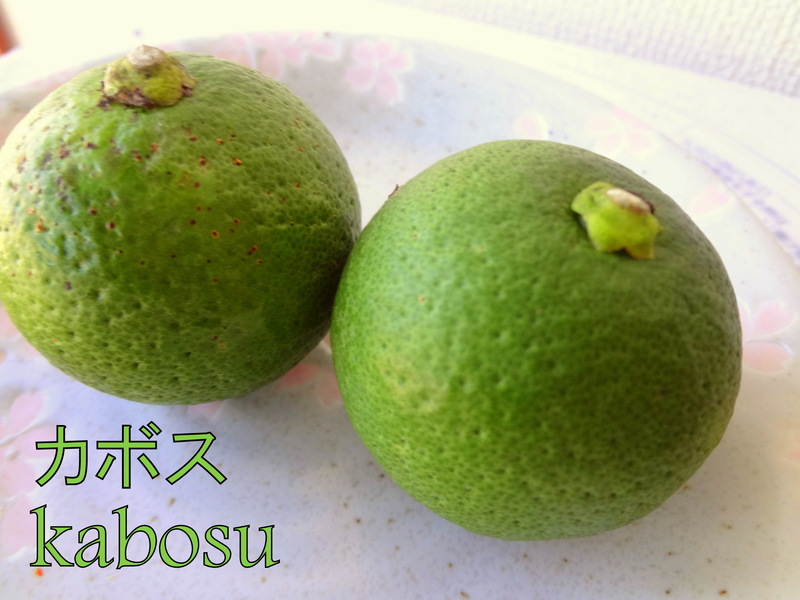 This citrus from Kyushu has the size of a ping-pong ball and a woody fragrance. It is often served with fish or to make a ponzu sauce (citrus and soy). You can see many types of citrus, lemons, lime, oranges on this blog. Japan has a huge variety and they are all different in flavor. That’s really great. I was given beer. It’s alcohol free beer that the police gives away as part of a campaign against… drunk walking. I mean they give that to people passing on foot in the street. I’m not a fan of beer, but I can tell that this one is not really good, very bitter. But it’s OK to cook. 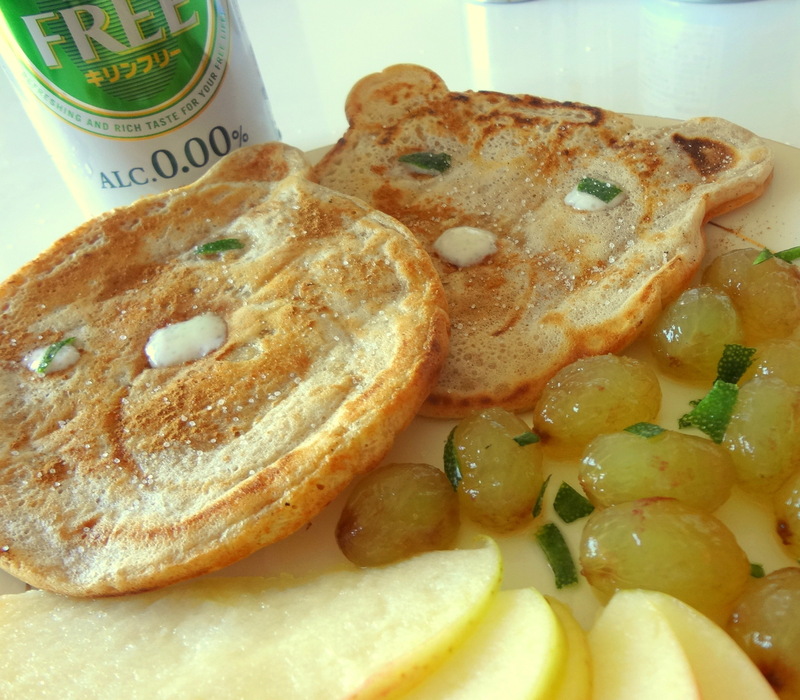 It gives a nice barley flavor to pancakes and lightens them. Posted on September 26, 2014 by My	• This entry was posted in Uncategorized. Bookmark the permalink. 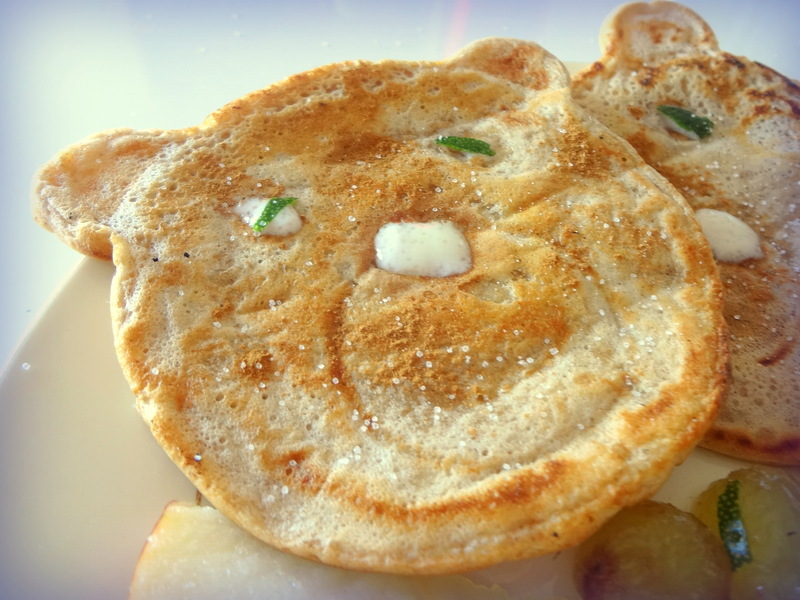 i will try this beef pancake tomorrow morning!! !